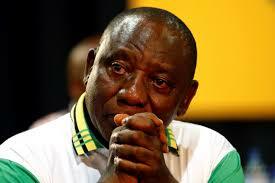 “We need you people too help us, because that is the place we get money to train our children in schools”. “To our surprise, those people that came to demolish our wears did not give us any prior information before they came this morning to destroy our goods and forced us out of where we are selling, that is why we are here to lodge our complains to governor Willie Obiano to help us out of this situation. Also speaking, Mrs. Miracle Okolie a trader too in the Tomatoes and Vegetables market at Cocacola market Atani, narrated her ordeal in the hands of the ocha brigades, related her situation to a near hopeless situation if urgent intervention is not asserted to ameliorate their sufferings. She called on the state governor to consider the poor citizen, who do not have money to rent the provided stores by the state government, relating the idea as a medium set out to impoverished them more than they are currently undergoing. “Yesterday early in the morning when we came to sell our goods , at the entrance of the market, we now saw many people surrounding us , they started chasing us out of the market, commanding that non of us will enter the market again”. 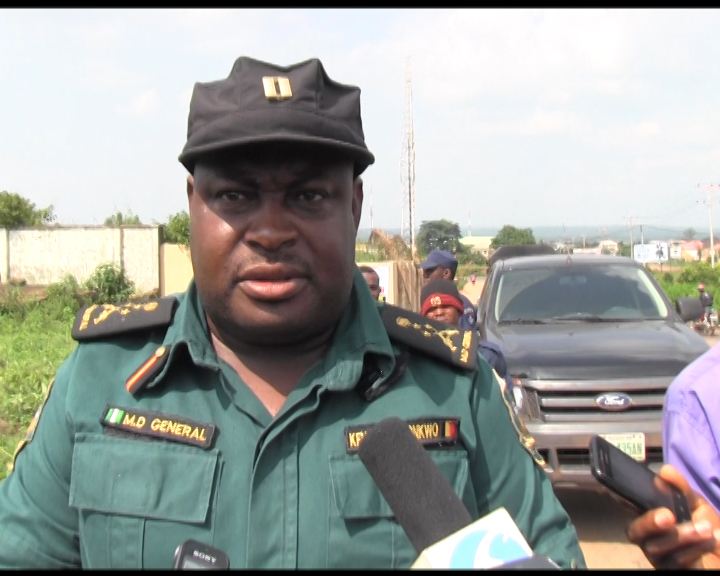 “We were surprised to see what has become of the market, we now request to know what we have done, leader of the Ocha brigade said we should remove our goods, before we could realize anything, his men had started destroying our goods”. “Batching the vehicles that brought our goods from the villages, beating up the drivers that brought the goods for us to the market, before we could realize what happened, they towed our goods to a nearby newly constructed market and they commanded that that is the place we should be selling hencefort”. “We were once taking to this same place last year, where our goods were stolen by robbers , not minding that the place is under the high electric tension cable. Many people in the market have come up with series of medical reports relating to the effect of selling under the 33 KVA High tension electric pole line that finally discourage us from selling there”. 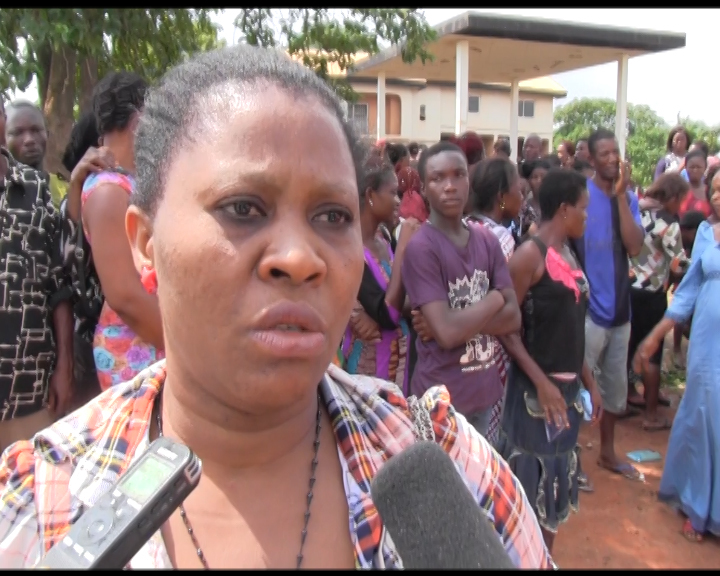 “My daughter was also raped from the same market one morning and they collected her handset when I asked her to go and sell for me, but the robbers did not see any morning on her then”. “We love governor Obiano so much that is why we voted for him, we hope as we have cried to him this afternoon, he will surely come to our rescue, we are appealing to the governor to allow us continue managing that place we are”. 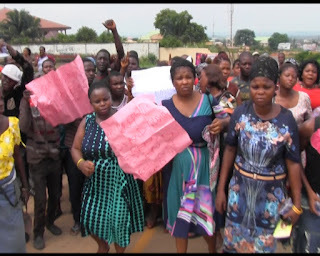 In another relations, traders from the Afia Nkpor New parks Main Market, women representatives, Mrs. Amarachuwku Nwafor and Mrs. Roseline Onyegi, lamented the level of destruction of their properties by hoodlums dressed in funny attires, parading themselves as operative of government saddled with the responsibility to collecting taxes. They called on the government to consider them and levy them based on their products display for sale, than formulating estimated bill that does not correspond with their income. “They told us to pay tax, each shop to pay N30,800 and we had case in court, we went to court and reported the case and the court gave judgment in our favour stating that we should verify from the government before we pay any agents our money in the name of paying tax”. 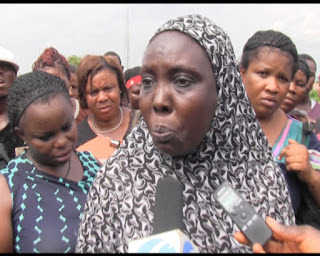 “We are here to beg governor Willie Obiano to assert sympathy, even In my shop I don’t have goods worth N30,000 in my entire business collections, I was now asked to pay for that sum of tax, I only sell baby things”. “They employ touts to chase us out of our shops, the leader of the group is called one Asha, a notorious tout in Afia Nkpo community there”. “They even broke one woman’s hand in the process of forcing her out of her shop and she is presently at the hospital receiving treatment”. “We are here to beg Governor Obiano to help us, we are really suffering there in the market”. Another trader: “The president of Nkpor main market, Agwuba came to injure us, I am selling vegetables like Ugwu and he said I should come and pay the sum of N33,000 as tax, where does he expect a poor widow like me to get N33,000 to pay”. “I want governor to help us, we Nkpor main market women traders really are suffering, and beg governor to come to our aid”. She lamented. 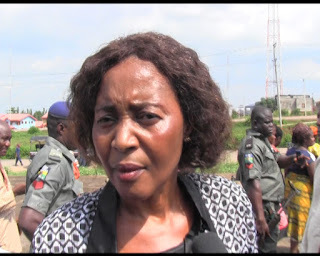 Responding on behalf of the Anambra state government , the state commissioner to trade commerce and empowerment, Barrister Uzoamaka Ilobi, debunked the allegation that the market people were over taxed, related it to an accumulation of taxes owed for years, which the government now came up with a data to regularize the state tax payment system. She said the state government has provided neatly built stores at near Atani Local Government Area, to remove the women selling on the highways, which according to her would reduce the risk of being infected with cholera and other unhygienic condition, they subjected themselves to selling in the environment where there is no refuse dumps and toilet facilities. “Government policy is that no street trading to secure the lives of the people, the state law has it that for anybody to do buying and selling, it must be in a market overt where the safety of the people buying and selling would be assured”. “Since these people have come with a complain, I believe we can not settle everything outside here, my word is that I will come to them and we will talk on the way forward and I know at the end of the day, some little issues would be ironed out and everybody would be happy”. “I will also address the issue of over taxation, because you cannot say they are over taxed when you don’t pay for a particular year or the next year or the next year and when you want to pay it, you may feel it’s an over taxation, but when you now split it, you will see it’s an accumulation of taxes that has not been paid for years, then you will find out that it is a peanut your are supposed to pay yearly”. “As the commissioner for trade and commerce, market and wealth creation, you can never see anybody that is not authorized in the market and whatever they are doing is stipulated things they are supposed to do, nobody can go there, because the markets are organized”. She explained . 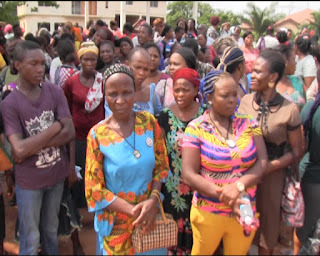 On his part, the state Managing Director of the Operation Clean and Healthy Anambra Brigade, Chief Kenneth Okonkwo disclosed that the agency had served the market women notices of relocation for about six months, and some days, but said they felt reluctant to relocate. He absorbed his men from the allegation of destroying the traders goods, said he supervised the relocation exercise and could give account to whatever happened in the process of relocating the women from where they were to the newly constructed modern facility market place provided by the state government. “Six months ago, a letter was written to my office by the honourable commissioner for trade, commerce market and wealth creation to relocate these street markets from where they are presently to the permanent sites located at Atani, at the back of Power Mike Boulevard”. 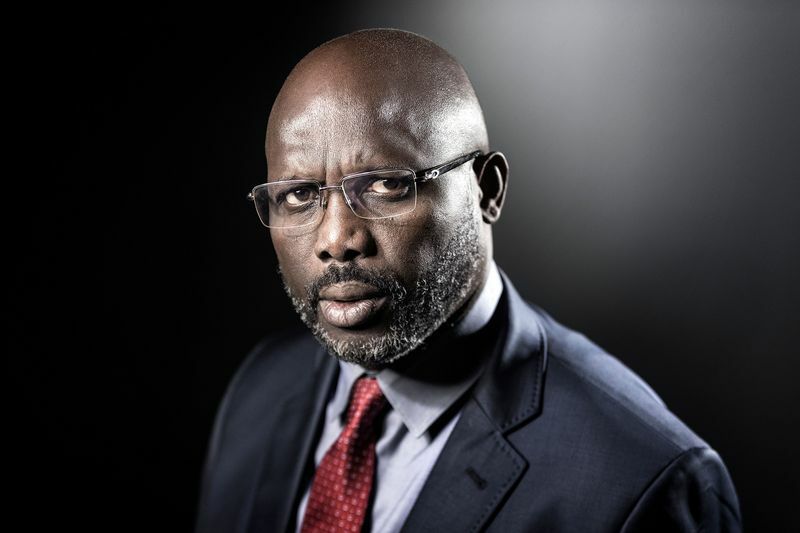 “To my surprise, I did the necessary document, wrote the SSG, wrote the police and all the relevant agencies that are supposed to work with me for the relocation exercise because It is not done by me alone. After that we went to the site for inspection”. “Upon arrival, we saw that that place is not conducive for trading ; no toilet faculties, no water, no refuse dump , even a pig cannot do any business there, where we have our wives, our children and relations selling inside that dirty place”. “To heave a sigh of relief, the Anambra state government has built a conducive market for them at that Atani inside and out the road. Where they are now is located at the expressway behind the Coca-Cola. If you go there and see, what they do there is far from maintaining healthy state of living for the people of Anambra state”. “They defecate in the gutters and do all sorts that are not good to say in the record and to cap it up, they don’t pay any IGR into the government coffers and we need to keep our people in good state of health”. “I want to tell you that most of these women you see here are not true traders, most of them are hired by the owners of the land, they make million from the poor women illegally, so they are crying because they felt Government has come to remove the milk and honey in their mouth”. “If government had not provided a conducive alternative for them, one would say that the government is wicked, the government has provided a conducive trading environment, it also provided water and modern amenities you can think of in a modern market, but the question remains why these women refuse to relocate to the government provided markets”. He disclosed. The fate of these poor market women is dashed, where respite was not coming from the government they ran to, the question now is, how would this women, where some of them are widows raise money to rent the newly built shops, where they alleged is not affordable for common masses and what would also be the saving grace for petty traders who were asked to pay a huge sum as N33,800 for tax to gear up the state internally generated revenue. Only time would tell what becomes of these women, struggling to make ends meet from their street trading.